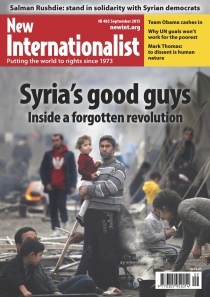 September 2015 - "Syria's Good Guys"
QUIZ - HOW MUCH DO YOU KNOW ABOUT SYRIA? Syria: Is anybody out there? Will the film, Cowspiracy, make more and more people vegan and vegetarian? This page was last edited on 18 October 2015, at 19:11. This page has been accessed 8,315 times.